As he left Ireland following a two-day visit to the historically uber-Catholic country, Pope Francis asked that he be put through to President Trump despite their previous frosty relationship. 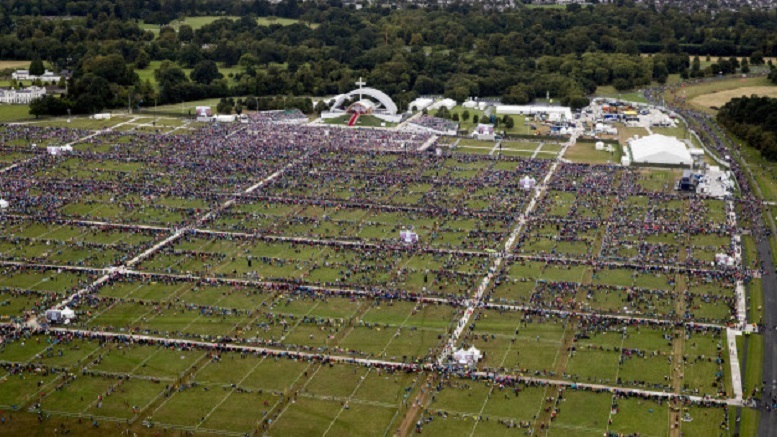 Aerial photographs showing thin crowds reminded the Pontiff of the thin crowds at President Trump’s inauguration. Trump reportedly advised Pope Francis to think big and insist his mass not only exceded expectations, but drew more than the 1.25 million people that attended Pope John Paul II’s mass there in 1979. Be the first to comment on "Pope Francis Calls Trump For Advice On Making Disappointing Crowd Seem Larger"